Wolfsburg, Germany - This is the year of the Golf. The first six months of 2013 have already seen the debuts of the new Golf GTI, Golf GTD, Golf Variant, and Golf TDI BlueMotion. Volkswagen is continuing its Golf product offensive with the flagship of the model series—the new Golf R. The sports car of the lineup is powered by a newly designed 296-horsepower TSI® engine, which is 30 hp stronger but up to 18 per cent more fuel efficient than the engine in the previous model. The new Golf R is equipped with an extensive package of exclusive features. 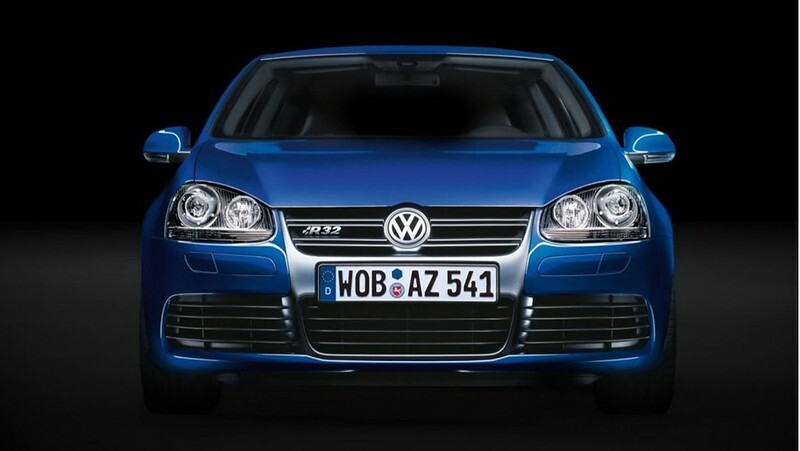 Along with specially designed bumpers, side skirts, and 18-inch aluminum-alloy wheels, the Golf R can also be visually distinguished by details such as: standard Bi-Xenon headlights with newly designed LED daytime running lights (in a dual-U design); dark red LED taillights; and a two-branch exhaust system with four chrome tips. Inside, the Golf R underlines its position as the flagship of the model range with sport seats in a “fabric-Alcantara®” material mix, a leather-trimmed three-spoke sport steering wheel, ambient lighting, automatic climate control, and a touchscreen radio system. The most powerful and fuel-efficient Golf R will be launched in the fourth quarter of this year, in two- and four-door forms. Many of the EA888 series engines have innovative engineering solutions such as water-cooled exhaust gas channels running through the cylinder head to the turbocharger (to reduce efficiently full-load fuel consumption) and a dual injection system with direct injection and multi-port injection. Thanks to its new fully-electronic coolant control system, the Golf R’s TSI engine has much more efficient thermal management with a reduced warm-up phase; this reduces frictional losses and fuel consumption. In addition, the TSI engine has variable valve timing on both the intake and exhaust sides, as well as two-stage exhaust-valve lift. This enables optimal control of the charge exchange process for better performance, fuel economy and low emissions. 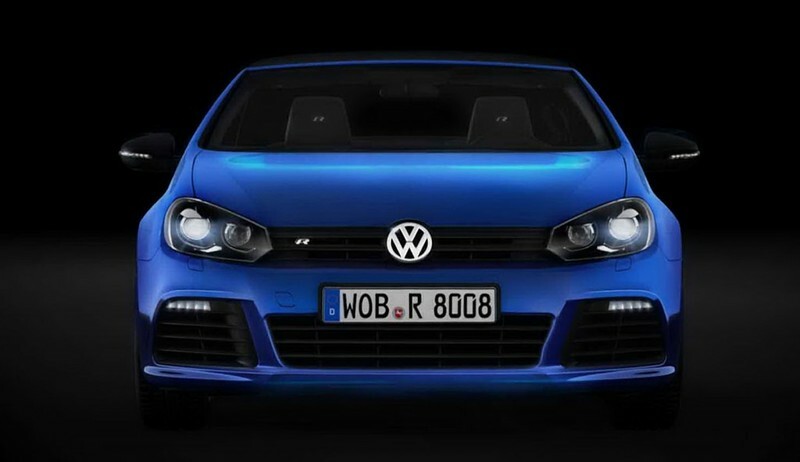 The Golf R can be distinguished from the front by a new bumper design with exceptionally large air inlets, a modified radiator grille that sports an “R” logo, and newly developed daytime running lights that are integrated into the Bi-Xenon headlight housings. The LED daytime running lights form a distinctive dual “U” design beneath the headlights. From the side, the Golf R is characterized by newly designed 18-inch “Cadiz” aluminum-alloy wheels shod with 225/40 tires, black brake calipers with the “R” logo, body-color “R”-style side skirts, “R” badges on the front fenders, and “Matt chrome” door mirror caps. The car may also be ordered with optional “Cadiz” 19-inch aluminum-alloy wheels or “Pretoria” motorsports-style wheels. 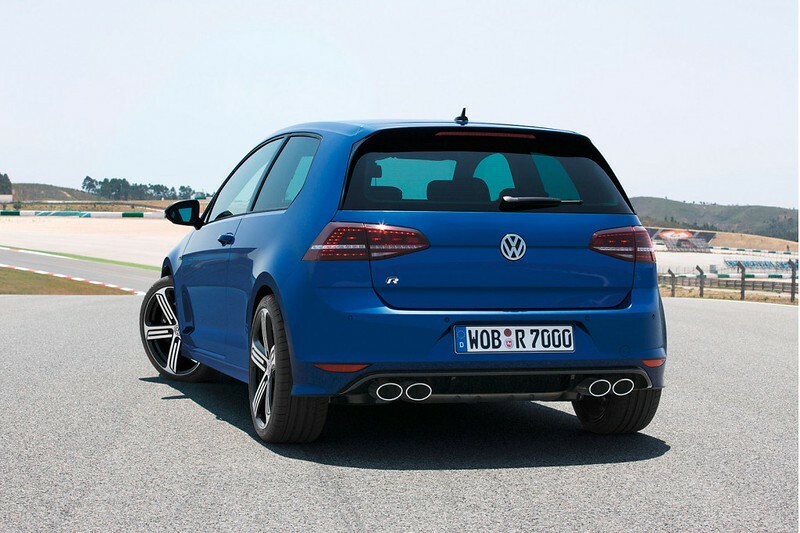 Rear details that define the new Golf R include smoked LED taillights with a distinctive light-colored stripe in the middle, an “R” design diffuser, four chrome tailpipes, and an “R” logo on the trunklid. The range of exterior paints comprises eight body colors. 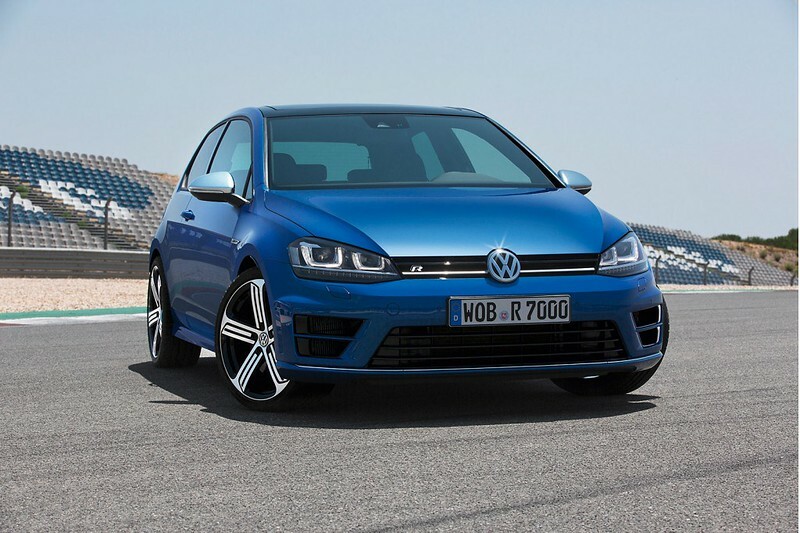 A new paint was created specifically and exclusively for the Golf R: “Lapis Blue Metallic”. Alternative color choices are “Pure White”, “Tornado Red”, “Night Blue”, “Limestone Grey Metallic”, “Reflex Silver Metallic”, “Deep Black Pearl Effect” and “Oryx White”. The instruments and the touchscreen’s start menu were also customized. When the ignition is switched on, the illuminated light-blue tach and speedometer needles sweep once across the entire scale to their end pins. The instrument needles are also automatically illuminated as soon as the driver’s door is opened. The radio or navigation-system touchscreen shows an animated “R” logo on startup.